The Center for International Education (CIE) was established in 1968 as a research and implementation organization within the Department of Educational Policy, Research, and Administration in the College of Education at the University of Massachusetts Amherst. In partnership with the academic program in International Education, CIE helps to foster a community of learning and practice on campus and in international development settings, offering opportunities in the areas of International Development Education, Education Policy and Leadership, Nonformal/Popular Adult Education, Basic Education and Literacy, and Internationalizing U.S. Education. The Center has a long and successful history of grant and contract management for projects designing, implementing, and evaluating educational initiatives internationally, and does additional work locally, including Massachusetts Global Education for teachers, and educational and leadership trainings for transitioning students and for immigrant and refugee communities. Additional material from CIE is available through the university’s institutional repository, ScholarWorks. The bulk of this record group consists of files associated with CIE projects, organized by country and topic, including projects in Central Asia, South Asia, Central and South America, the Middle East, North America, and numerous projects in Africa. The records of CIE faculty member David R. Evans are heavily documented, particularly his work in Uganda. This material also includes multiple examples of “games” used by the Center in various teaching and training sessions to stimulate discussion and creativity. Additional records cover the administrative history of CIE, including founding materials and early files, reports and committee records, newsletters, photographs, and information about Center activities, celebrations, and visitors. A number of CIE publications, including their series, Technical Notes, are also available. The University’s first Dean of Students, William F. Field held the post from 1961 until his retirement in 1988. The 27 years Field was Dean of Students was a critical time of growth and unrest, as the University’s student population more than tripled in size and the nation-wide movements for civil rights and against the Vietnam War were reflected through student activism and protest on the University’s campus. Responsible for ending student curfews and overseeing all dorms becoming co-ed, Field also worked with minority students and faculty to support the Black Arts Movement on campus and the founding of the W.E.B Du Bois Afro-American Studies Department. 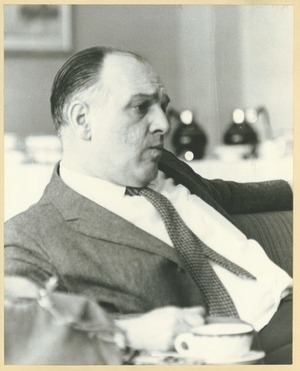 The William F. Field Papers document Field’s career as an administrator at the University of Massachusetts and specifically his role as Dean of Students from 1961-1988. The correspondence, memoranda, reports, notes, and other official printed and manuscript documents are a rich resource for one of the most important and volatile eras in the University’s history. Of particular interest are extensive files on student protests and activism in the late 1960s and early 1970s and the growing diversity of the campus student population, flourishing of the Black Arts Movement on campus and the founding of the W.E.B. Du Bois Afro-American Studies Department. The Massachusetts State Employees’ Association (MSEA) was founded in 1943 to protest proposed changes in the state employees’ retirement system. By 1969, the group had become the exclusive bargaining agent for the University’s administrative, clerical, and technical employees. This small collection includes the constitution and by-laws of the MSEA along with Executive Board and general body minutes, correspondence, contracts, legislative materials, grievance records, hearing transcripts and decisions pertaining to job reallocations, subject files, newsletters, and press releases that document the UMass chapter of the Massachusetts State Employees’ Association from 1955 to 1978. A member of the UMass Amherst Department of Food Technology and Nutrition, Peter Pellett was educated at Borough Polytechnic in London (BS 1952) and the London School of Hygiene and Tropical Medicine (PhD 1956). After several years in research in London, Beirut, and MIT, Pellett came to UMass as head of the Dept. of Nutrition in 1971, where he worked on problems in nutrition and international development. He consulted frequently with the World Health Organization, USAID, and UNICEF. Pellett was granted emeritus status after his retirement from UMass in 2000, but remained active into his early 80s. While working on UN development missions to Iraq, Pellett witnessed the dire health consequences of the sanctions imposed on the country and became active in critiquing US policy. This small collection relates primarily to Pellett’s work on the Iraq sanctions. 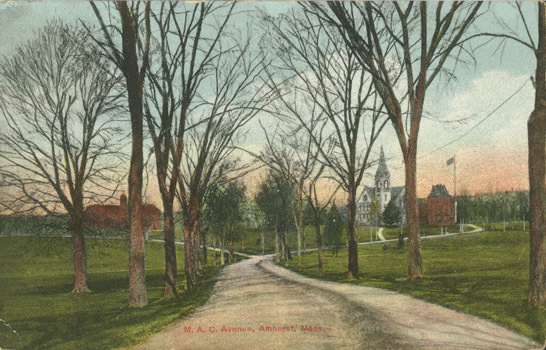 Responsibility for academic affairs at Massachusetts Agricultural College initially fell to the college President, however in 1906, the Board of Trustees created the office of Dean of the College to oversee issues relating to student attendance, scholarship standing, the enforcement of faculty rules, and general student discipline. In 1953, the office of Provost was created to provide leadership in all areas of academic activity, and in 1970, the Vice Chancellor for Academic Affairs and Provost became the chief academic officer of the campus, responsible for advising the Chancellor on the whole of the University’s academic program. The bulk of the record group consists of the files of individual Deans of the College, Provosts, and Vice Chancellors for Academic Affairs, as well as the University Year for Action (1971-1976). Also included are the records of the interim and special appointees that report to the Vice Chancellor for Academic Affairs and Provost, and the special programs, committees, institutes, and centers that were initiated by or developed from those offices. The academic departments at UMass Amherst are organized within ten schools and colleges. Among the more than 88 degree programs in 2009, 74 confer masters degrees, and 53 confer doctorates. Containing the records of individual academic departments, programs, institutes, and centers, Record Group 25 documents the shifting history of disciplinarity and departmental affairs at UMass Amherst. The papers of individual faculty members are contained within the Faculty and Staff (FS) collections and are indexed separately in UMarmot. Administrative Services at UMass Amherst coordinates a range of important functions, including finance and the budget, auxiliary services, environmental health and safety, human resources, housing administration, and facilities and campus services. Record Group 35 includes summary information on institutional finances, along with general information on other administrative activities. Detailed financial records, personnel records, and related materials are maintained by units within Administrative Services.